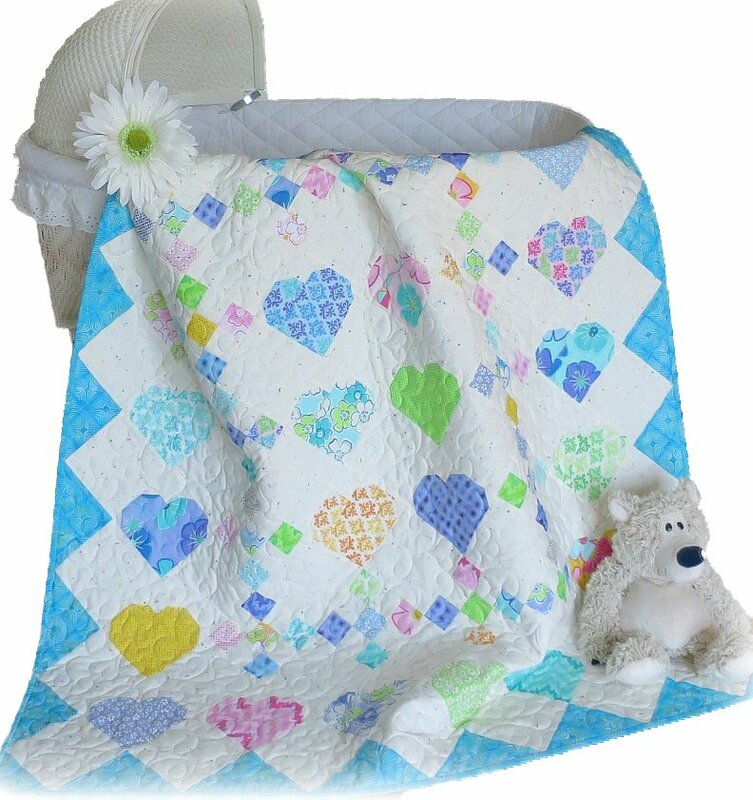 Crib size: 44 1/2" x 51"
Twin size: 70" x 90"
Queen size: 83" x 95 1/2"
This sweet quilt is easy to make and uses charms or you can cut 5" squares from your stash. Blocks are set on point and by putting triangles on the end of each row, you already have a border on the quilt. No need to struggle with those long borders. The hearts look appliqued but they are pieced making an easier and quicker assembly.